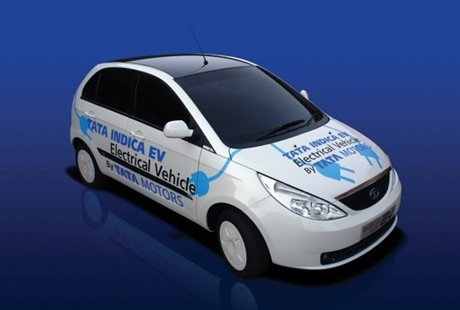 Indian car company Tata is starting production of its Vista electric car in the UK this month. The new model is a fully electric four-seat family car, with a claimed range of 110 miles and a 71mph maximum speed. It took part in last month’s Future Car Challenge, picking up two trophies in the process. The car will be built in the West Midlands, and will be initially available in limited numbers, with 25 cars going to customers in the area for a 12-month trial as part of the Coventry and Birmingham Low Emission Demonstrator (CABLED) programme. In summer 2011, the car will be launched in the UK and other selected European markets, but it will be restricted to fleet customers to start with.This will allow a customer base and after-sales programme to be developed ahead of a more comprehensive launch in 2012. As an electric car, the Vista qualifies for a grant under the Government’s recently announced Plug-in Car Grant scheme. This allows for a grant of 25% of the purchase price up to a maximum of £5000 for each new vehicle sold between January 2010 and March 2012.